National Organization for Business and Engineering (NOBE) engages engineering students to diversify and broaden their engineering curriculum. 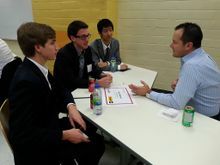 Through exclusive skills-building workshops and networking events, NOBE provides engineering students with the skills, confidence, and network to excel in careers outside the typical engineering scope, such as consulting (management, tech, or engineering), banking, marketing, and more! Like our Facebook page and join our listserv to take your career to the next level! At NOBE, we believe that engineering students are much more capable of JUST engineering. With the technical, analytical, and critical mind that engineers develop through their undergraduate career, they have the potential to excel in various industries outside of engineering. NOBE has previously promoted fields like management consulting, investment banking, marketing, or entrepreneurship, but we are constantly reaching out to new industries to expand our profile. Broaden your mindset to successfully accomplish a wide variety of problems. Founded in 2006, a student in the University of Illinois Urbana-Champaign’s Society for Business and Management in Engineering proposed to take their organization to the national level by contacting three other universities with similar organizations to join together and rebrand their groups as the National Organization for Business and Engineering (NOBE). Since then, universities from all across the United States have joined (e.g. University of Southern California, Northwestern University, Drexel, Georgia Tech, and Penn State). 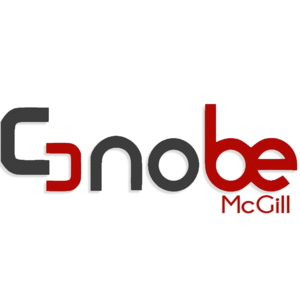 NOBE McGill is the Canadian chapter founded from McGill’s own Engineers in Business organization, which joined the quickly-growing NOBE network in 2010. Since then, NOBE McGill has expanded quickly to become the center of attention for any engineer interested in taking their career to the next level. Between 2013 and 2016, NOBE increased its McGill campus presence by over 300% to actively over 500 students in its network. NOBE McGill is now the premier chapter with a strong position to expand across Canada through the University of Toronto all the way to the University of British Columbia. Suit Up is a networking event that occurs once a semester, where companies from all fields of business gather in order for students to inform themselves, meet industry professionals, and potentially score some job interviews.